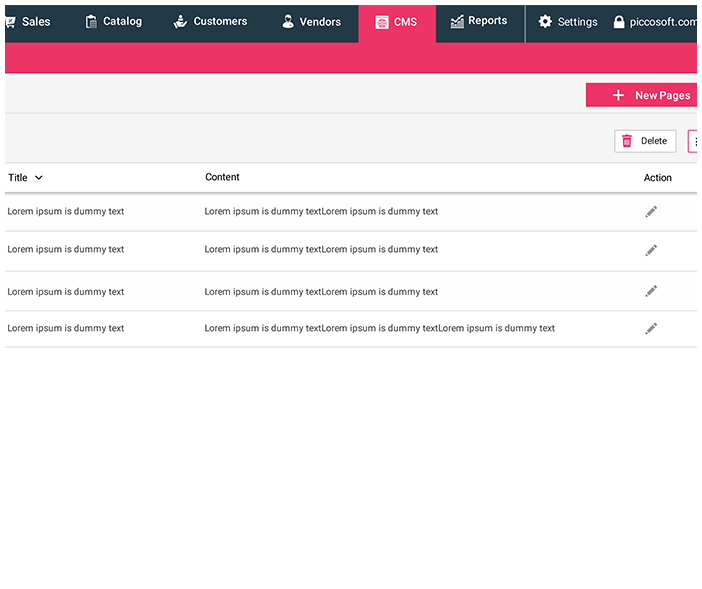 Admin/Backend is the key to every eCommerce store front to function smoothly. 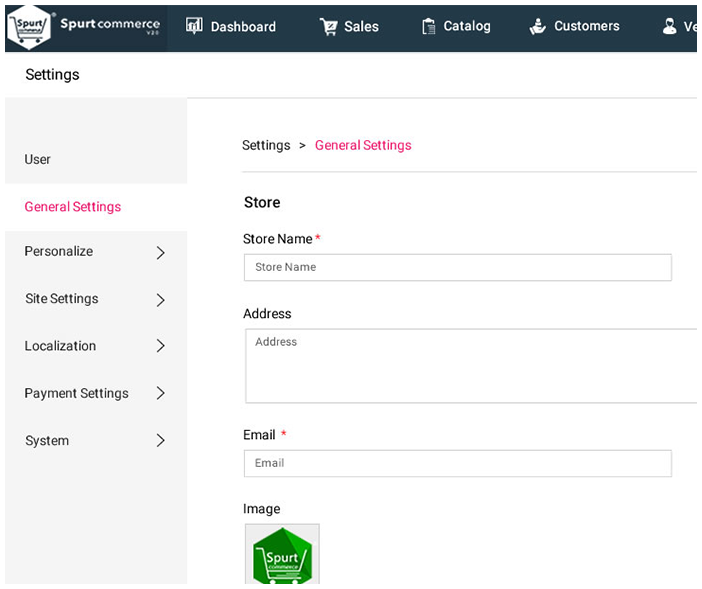 Take complete advantage of Spurtcommerce admin features to streamline the activities on the store front. The dashboard is what is seen as the first thing when you login. 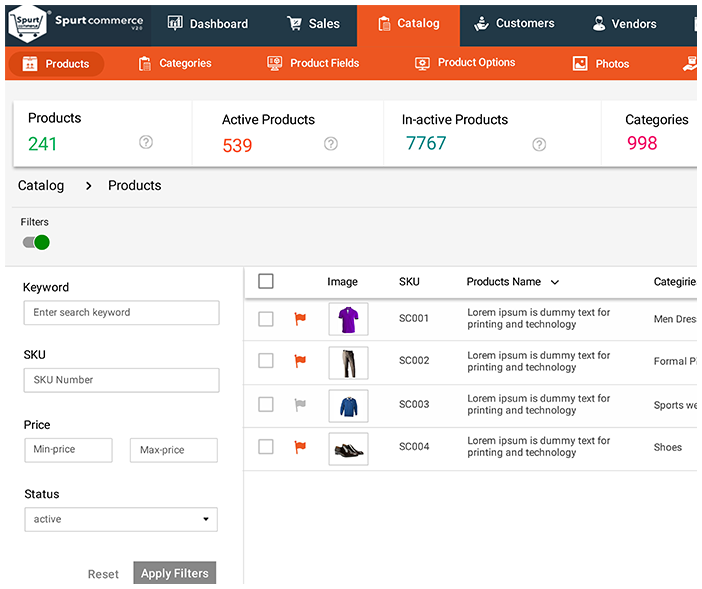 You will get to know all that is happening on your eCommerce store front, on one single screen. 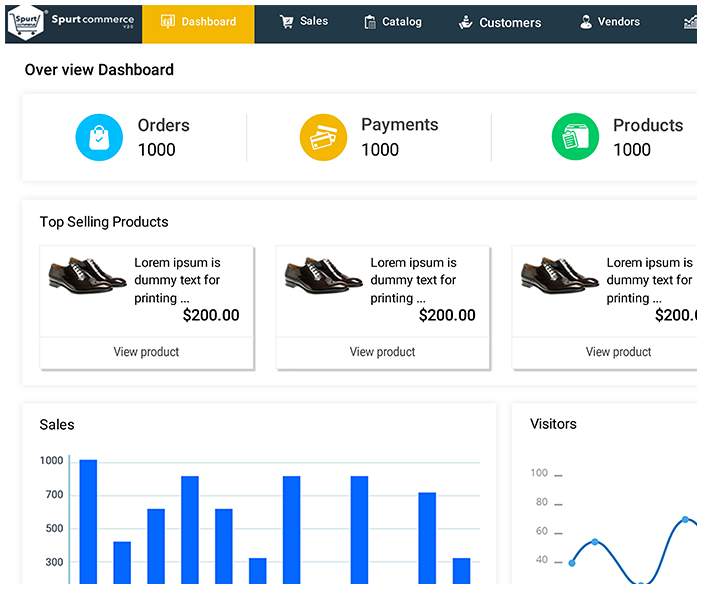 You will know the recent customer registrations, active shopping carts, total orders, total sales, total number of visitors, who are online and more. You may upload any number of products that get displayed on the store front. You can add a product, add description to it, add image, edit a description and delete a product. Also, there are search and filter options to find a product. 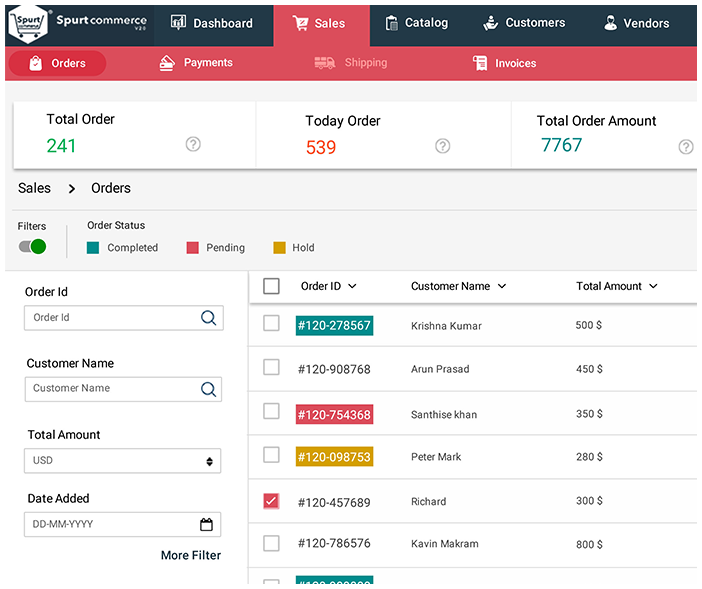 The Business Owners have been given complete flexibility to manage sales and orders. Apart from the orders that get placed on the store front, you can add an order yourself. You can edit or delete a placed order. You may view the complete list of placed orders. The Gallery module is an easy to use module to upload images into a gallery and then use them forever. You can create unlimited galleries to segregate and add images into a gallery and then add unlimited images in a particular gallery. You can edit and/or delete the galleries or images whenever required. You can get complete access to all the Customers' details. 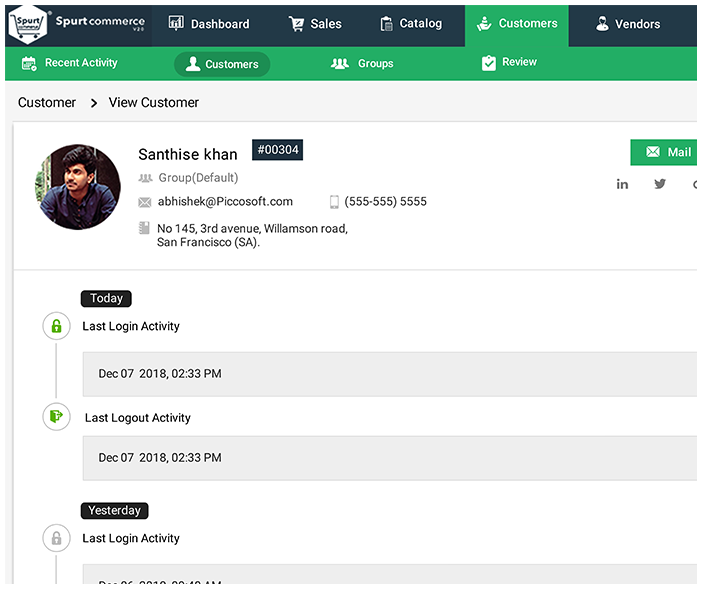 You can add a Customer, edit or update the details of a Customer and you can also delete a Customer. Also, search and filter options have been provided to look out for a particular Customer. 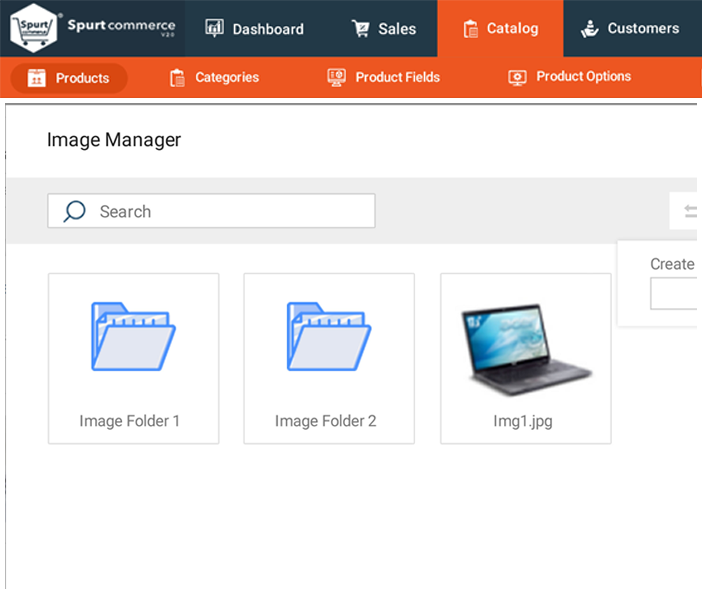 The CMS Banners module is an easy to use module for uploading banners and managing them as you want. You may edit or delete a banner. You may also view the list of uploaded banners. You can even search and filter banners to get a particular banner. You have a provision to choose from a range of themes. 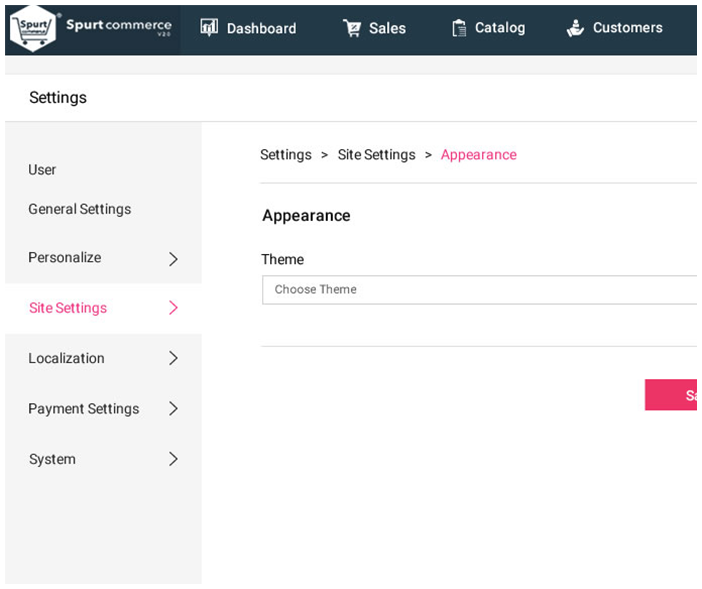 Based on the business type or product type, you may choose a theme to change the entire layout, the entire appearance and the way the site is displayed. An eCommerce business may be global or it may even be local, catering to a particular country. A provision has been given for you to localize the eCommerce store to a particular country, with states and cities of the country and product prices being listed in the native currency. You have the provision to configure the settings however required. 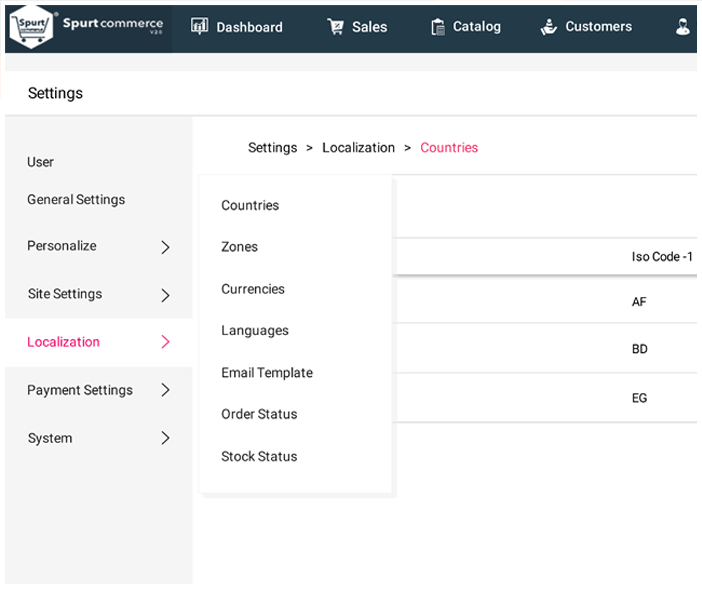 The settings can range from a general store setting like the website URL, Owner's name, address and telephone number to other options like localizing the store. it also includes configuring email and push notifications settings.